Recruitment and hiring has drastically changed since people were introduced to the Internet. We used to just post bills, newspaper classified and print ads to hire employees. Today, that method is already outdated. Employers today utilize the power of the Internet to reach out to people in ways that were not possible before. Along with the power of Social Media, companies and businesses are able to hire the best people around the world at the least possible cost. According to a research done by Staff.com, 92% of companies right now are already using social media for recruiting. That is a huge number and it shows the significant role it is playing in recruitment right now. No wonder why almost 14.4 million people in America (USA) have also utilized social media platform to find their desired job online. To add to that, almost half of all those companies who have been using social media for recruitment could attest that the quality of the candidates that they have hired has improved. That is a great advantage considering it takes them less time to hire someone. Check out the Infographic below. Do these numbers surprise you? 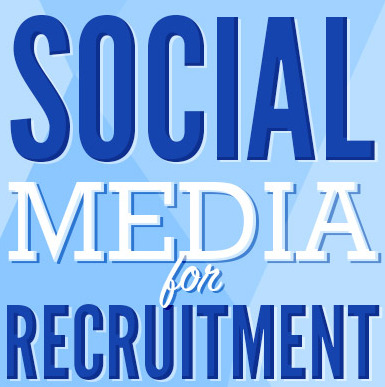 Have you used social media for recruitment? Let us know in the comments.